Save 15% when you receive 5 or more products in one month to one address with auto-deliveries. Currently, you'll save 5% on your Jun 27 delivery. 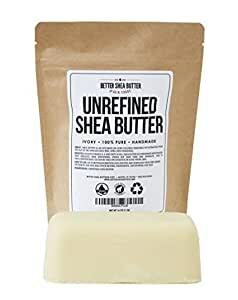 Amazon's Choice for "unrefined shea butter"
We work hard to deliver the highest quality, softest, easy-to-use, organic Ghanaian shea butter your skin will ever feel. Our convenient butter blocks keep your fingers out of a jar and make it easy to slice off just what you need to whip up your favorite skin care recipes. And guess what? 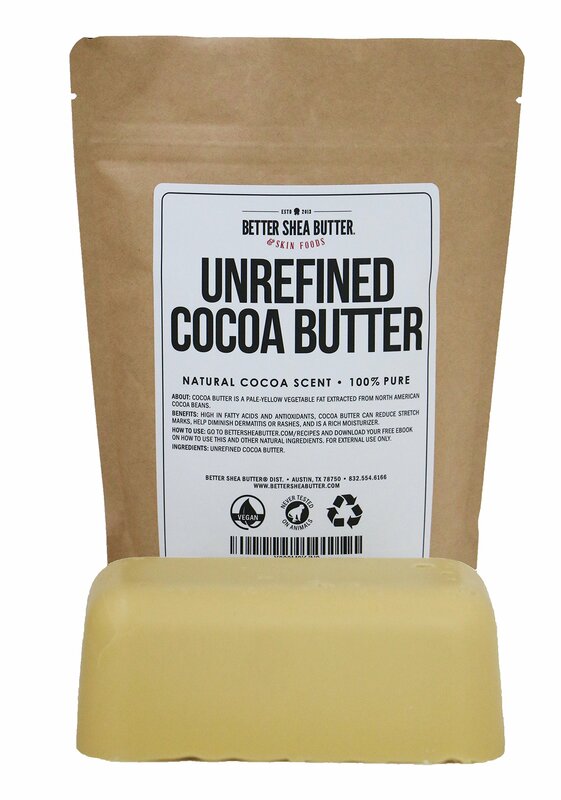 Our shea butter is 100% pure and unrefined. No chemicals. No additives. Just pure, silky, skin-nourishing shea butter – perfect for your toughest skin issues like eczema, acne, and dry, cracked skin. So go ahead, indulge and renew your thirsty skin with our velvety butter and watch the transformation to a glowing new you! The history of shea butter as an invaluable cosmetic traces back to Ancient Egypt, where Queen Cleopatra always kept in stock jars of pure, unrefined shea butter. Today Shea Butter is known as “women’s gold” because it is a valuable source of income for women in the West African community. Shea Butter comes from an indigenous African tree called Vitellaria paradoxa. These are wild-growing trees producing tiny, almond-like fruit that every May start falling on the ground. Villagers harvest the fruits, separate them from the nut, then boil and let the butter float to the surface. The butter is then milled and filtered for impurities, packaged in huge blocks, loaded on large boats, and shipped to our Austin, TX manufacturing facility for packaging. We are a proud woman-owned company, we pay above fair trade and above minimum wage, and are devoted to delivering the highest quality products to our wonderful customers. 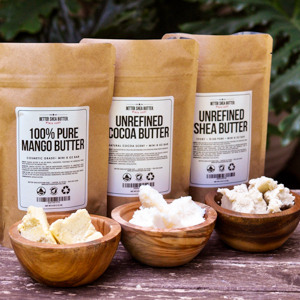 We can say with confidence that Unrefined Shea Butter is for everyone and for every skin. 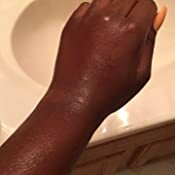 It is loaded with vitamins A, E, F, Antioxidants, and Essential Fatty Acids (Linoleic and Linolenic), it is known to reduce eczema, skin rashes, even out skin tone, soften and nourish your skin. It is non-comedogenic and perfect for those affected by acne who are looking for an effective and truly natural solution for their skin. Our classic Unrefined Shea Butter is Ivory in color, has a rich consistency, and it is extracted mechanically without using any hexane or other chemicals that would alter its nourishing properties. It is semi-hard and pliable, and the scent is slightly nutty and earthy. 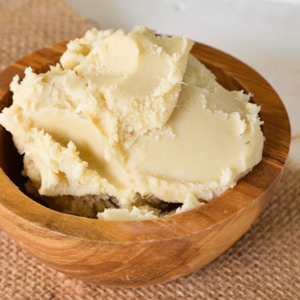 Shea is the richest of all our cosmetic butters. It is an essential ingredient in homemade salves, balms, body butters, soap, lotions and more! 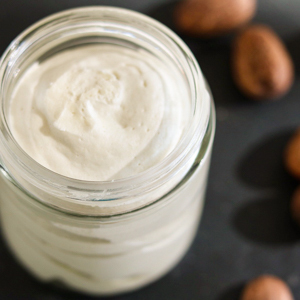 Make a wonderful Whipped Body Butter by mixing 60% shea, 38% carrier oil of choice, and 2% Essential Oils. 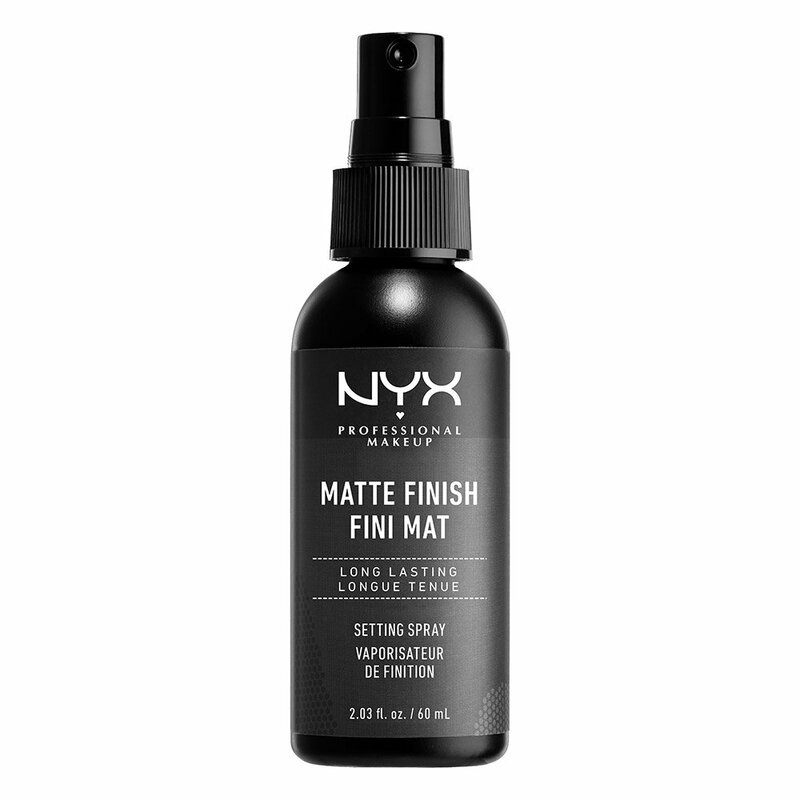 Whip until fluffy and it's ready to use all over your body! Shelf stable for 6 months. 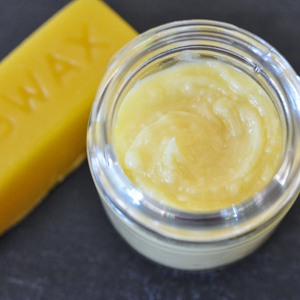 Make a Balm for cracked hands and feet by melting 2 oz shea, 1 oz beeswax and 2 oz jojoba oil. Add up to 30 drops of Peppermint Essential Oil, put it in the fridge until hard and it's ready to use! 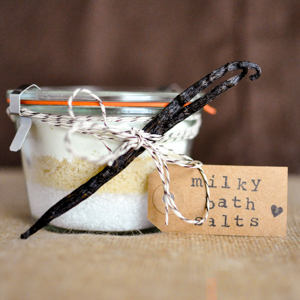 Layer the following ingredients in a jar: 1 oz epsom salt, 1 oz sea salt, 2 oz milk powder. Pour in a full bath, soak for 20 minutes, wash and rinse your body. Follow by applying pure shea butter. Moisturizer for all skin types. 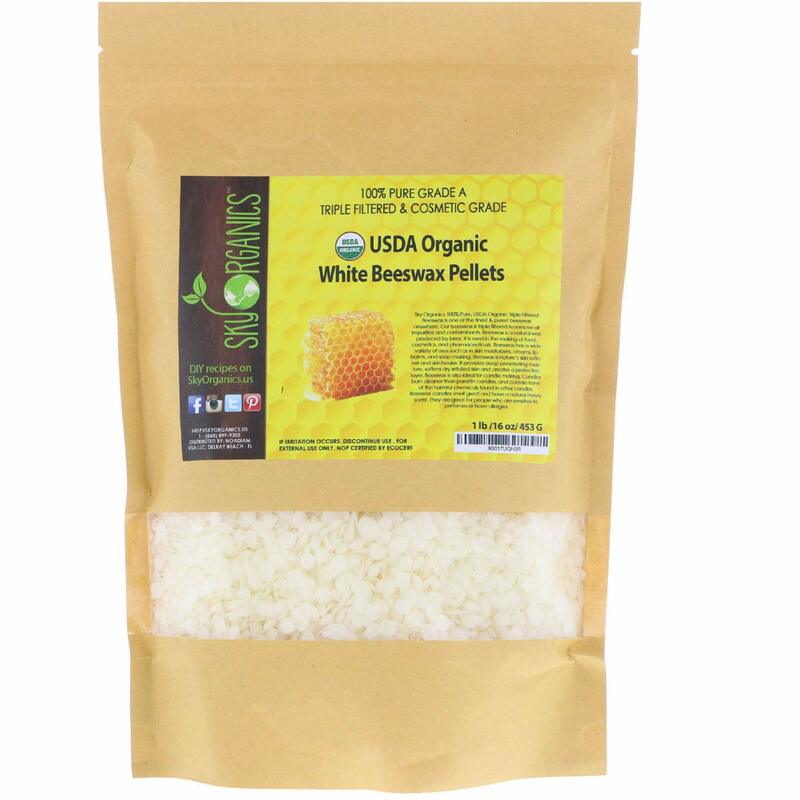 A must-have for dry skin and eczema as it brings extreme relief from itchiness. Does not clog pores so can be used for anyone with acne. Essential to make DIY skin care products. 5.0 out of 5 starsLove. This. Butter. Made the best mix ever. LOVE THIS BUTTER. It arrived sealed air tight and fresh but still soft to the touch (which I've never experienced with shea before). It was a good, medium sized brick and I expected to make my total batch in one sitting. Well I only used half a block (in a mixture of coco butter, coconut oil, sweet almond oil, avocado oil, and essential oils) and it yielded a 16 oz jar. In my pics I've had my butter mix for two months. It's held up very very well. And the best part is it wasn't grainy at all!!!! I initially intended for this to be my hair butter only, but it's so luxurious that I use it as my daily skin "lotion". I'm thinking I won't need to invest in Aveeno again. My mix spreads so easily and soaks into my skin very well. A little bit goes a long long way. I love using this after a shower overnight. Baby soft skin and well nourished hair. Will most definitely purchase again. 5.0 out of 5 starsDefinitely purchasing again!!!!! I cannot express how happy I am with my purchase of this Organic Shea Butter! I finally made the Whipped Lavender Body Butter recipe that I had found online. Let's just say that I'm going to throw out every store bought lotion I own because I'm not going back to store bought chemical lotions!!! This product smelled like chemicals, I had to throw away the products I made with it, the odor overpowered everything. I contacted the company and because I had throw it all in the garbage there was nothing they would do for me. I won’t be buying anything from them again and won’t recommend them. The shea butter i received is gray, grainy and smells like burnt plastic. This means i was sent very old shea butter that was packaged the wrong way. I am very disappointed and will be mailing this back tomorrow. 1.0 out of 5 starsSmells! The product arrived fine. I was hoping to make some homemade body butter but this smells so bad, I couldn't add enough essential oils to overpower it. I admit it's my first time trying and I didn't know what to expect. Perhaps because it's "unrefined" this is what it's supposed to be and if so, forgive me for that. 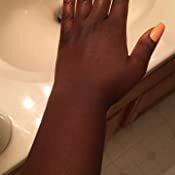 But if you're trying to do DIY lotion or body butter, I do not recommend it. 5.0 out of 5 starsThis stuff is magic! 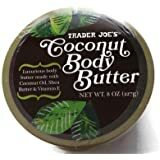 I purchased this with the intention of making whipped body butter. I luckily don't have any serious skin issues, but I was hoping to combat some mild seasonal dry skin. I was worried at first that this would be strong-smelling or that the package would only contain a small amount, but I was wrong to worry! The smell IS present, but it's very nutty and pleasant; if anything, it adds to the value of this! I almost think it could be tasty in cookies--I'll have to try that next! As for the amount, I was very satisfied. 1lb turned out to be much more than I was expecting, and I still have a lot left after making ~1/2 a dozen body products. So far, I've made whipped and un-whipped body butters (mix with coconut oil, beeswax, and essential oils) which have been a hit with everyone I've shown. The butter mixes well with other oils and butters when they're all heated, which makes it an incredibly versatile product. As soon as my current bag runs out, I'll definitely be ordering more! It's a must-have for me, especially in the drying winter months. The ONLY thing I would change about this product is having information on where/how it's sourced. 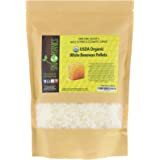 I'm interested in ethical sourcing practices and would like to know more from the seller in the future about how this shea butter is acquired. 5.0 out of 5 starsWonderfully creamy, raw, unrefined, and organic Shea Butter. 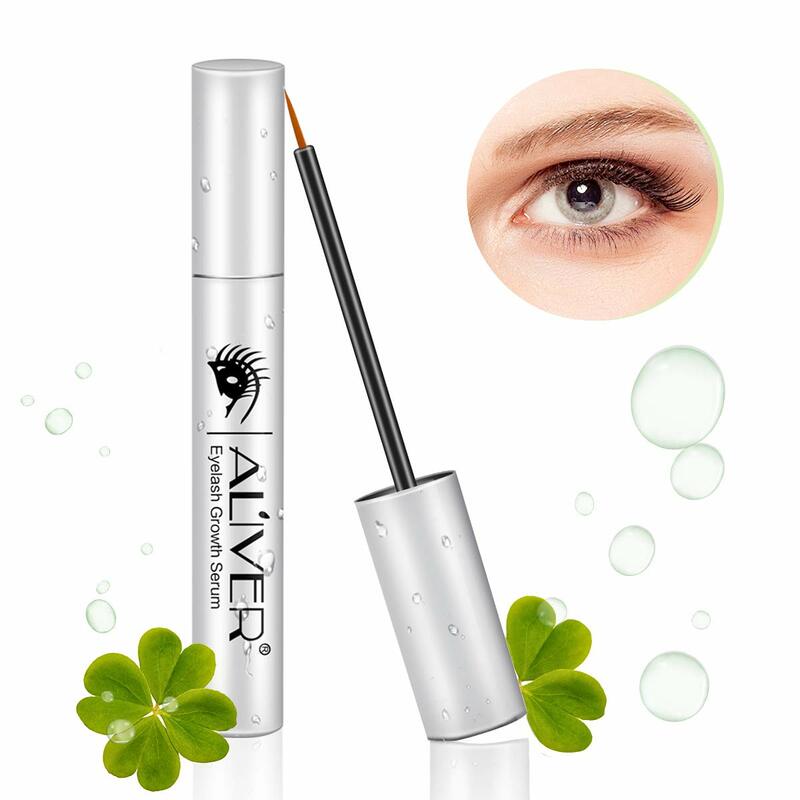 Perfect straight from package or in lotion recipes! As I have become more interested in organic and raw products, raw Shea Butter has been on my “to try” list. I finally got the opportunity to try Raw Shea Butter by Better Shea Butter. 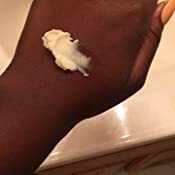 It has been fun making different lotions and lotion bars from it, although you can use it straight out of the package by taking a very small amount of the Shea butter and rubbing into your skin. The consistency is very much like that of cookie dough, (and it almost smells like cookie dough!). The sniff test is very mild and pleasant. 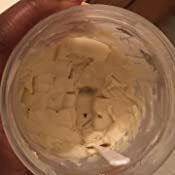 I chose to make a whipped lotion, a liquid lotion, and lotion bars with this lovely Shea butter and have been very pleased with the results. 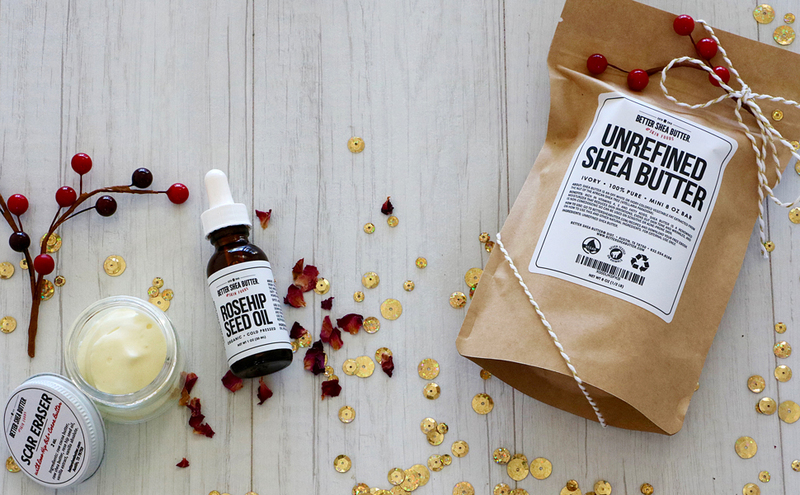 Between the available e-book recipes and Internet recipes, there are lots of ideas as to what you can do with your Shea butter if you want to use it beyond little dabs straight from the package! I love my new lotions! 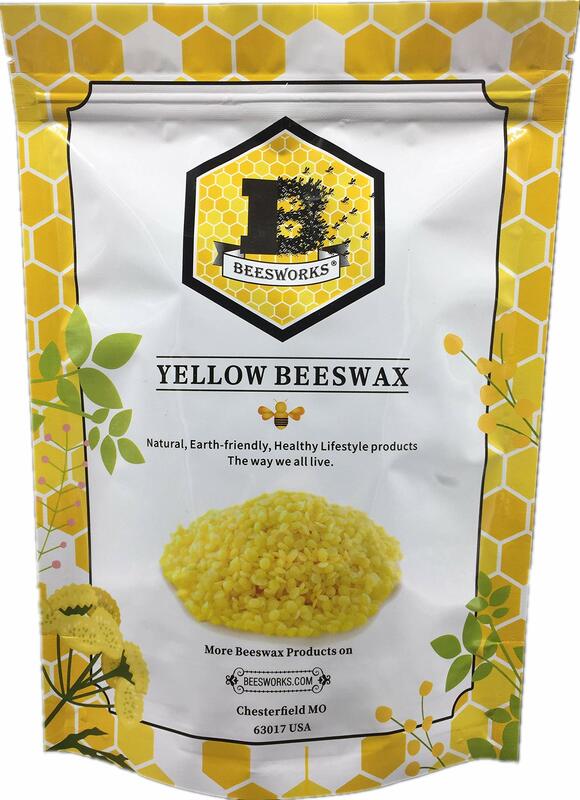 • Can be used straight from the package by rubbing just a little bit on your skin. After making and using different lotions from this raw Shea butter, my skin is soft and smooth. 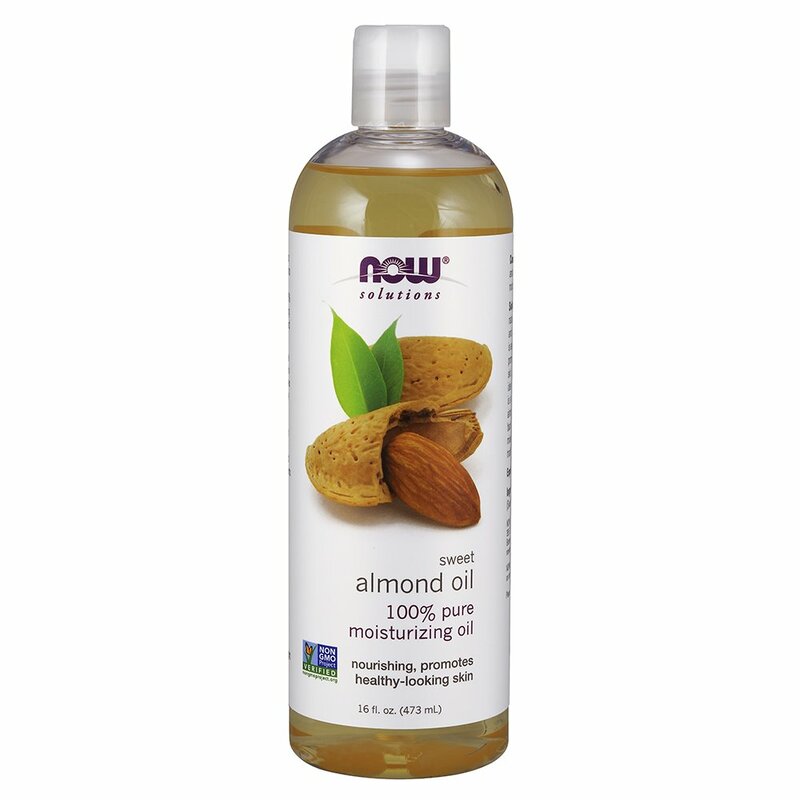 I have added essential oils to my recipes to give my lotions a heavenly scent! Great for yourself or for gifting! I used a recipe from the Real Food RN to make my lotion bars. I used a recipe from Whole New Mom to make a delightful liquid-cream lotion. I used a recipe from Trash is for Tossers for a whipped-creamy lotion. 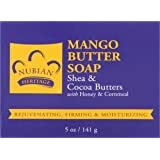 I was very happy to be given the opportunity to review this Raw Shea Butter by Better Shea Butter and received it at a discount for my fair and impartial opinion. Love this Shea butter, I have actually thrown away all of my moisturizers "DON'T NEED THEM ANY MORE". 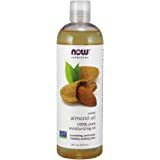 Let me start by saying I love the nutty fragrance that's how u can tell if it's real unrefined shea butter. 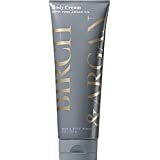 I use it for everything; blend with my essential oils (Eden Gardens), use with other oils to make a facial moisturizer, (coconut, almond oil, rosehip seed oil and jojoba oil), body butters, lips and hair. I whip it up and it goes on like silk a little goes a long way. Since I received this product I have been on every web page I can find looking for new ways to make diy beauty products using Shea butter. 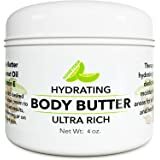 "GET THIS BUTTER", it's a wonderful moisturizer, plumes up the skin, gives your skin a remarkable grow, blends well with essential and carrier oils, and u can customize and create your own skin care products very cheap. Will only buy unrefined shea to make my beauty products, will buy again.